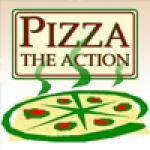 "Why Grab a Pizza The Action? -Because our passion for pizza shines through! Just taste one of our yummy, traditionally made pizzas!Antrim pizza delivery?Order online, call in person at BT41 4AE or call 02894463463.Want to see pizza experts at work? Stop by and marvel at the skills of first class pizza chefs. Toppings or sauces, ice cream or extras.Speciality - Home of the Dragon's Tongue"